Are you a diehard Sasquatch follower or just curious about what research has been done? 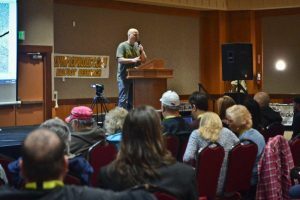 The Sasquatch Summit conference on November 16-18 at the beautiful Quinault Beach Resort and Casino (QBRC) in Ocean Shores is the perfect place to hear some spectacular guest speakers and ask those burning questions surrounding this mysterious creature. The Pacific Northwest is the Sasquatch capital of the world with sightings going back for more than 100 years, so it’s only suiting that the event is held here. 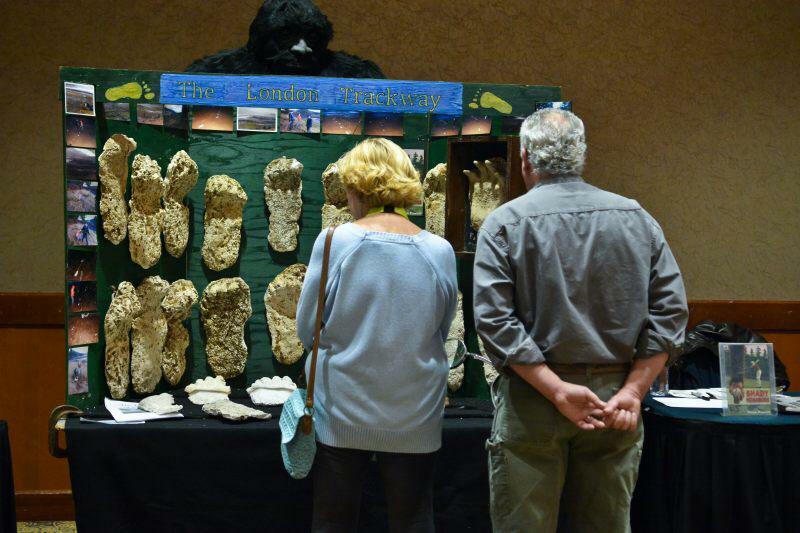 Join hundreds of Bigfoot enthusiasts for this annual event full of memories and one-of-a-kind insight. Sasquatch Summit is an ever-growing and well attended conference, so make sure to grab a ticket for the weekend for just $35. Or book a two night stay starting at $289 at the QBRC or a room at the Quinault Sweet Grass Hotel and receive two complimentary Sasquatch Summit tickets and two T-shirts. Tickets are also available for purchase at the door. For those wanting a more hands on experience, for $100, guests are able to purchase tickets that include private workshops on Sunday in addition to access to the rest of the conference. There will be three workshops hosted by John Pickering, Dr. Jeff Meldrum, and Joe Hauser that will give unique tools and observations surrounding everything Bigfoot. There will be the opportunity to hear an array speakers and guests can also check out lots of themed vendors, hear about expeditions and witness testimonies, see casts, and much more. No event is complete without good music. Lenny Green, a former Nashville staff songwriter, who now solely writes and performs music pertaining to Bigfoot, will be playing live. In addition to a meet and greet on Friday with researchers, conference goers can see David Ellis of the Olympic Project showing audio clips that have been recorded in a number of locations as well as ways to differentiate what is authentic and what is not. There will also be a forum on Friday where guests are welcome to share their own Sasquatch encounters. Bob Gimlin. He was there when one of the most famous Bigfoot video clips was recorded and he has a great story to tell. Thom Cantrall. 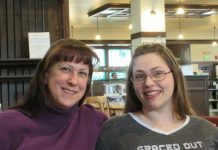 A Sasquatch researcher for more than 60 years, Cantrall has done investigations and is also an accomplished writer having completed 10 books on the subject so far with plans to continue writing. For more information, visit his website. Adam Davies. Davies has travelled the world searching for proof of creatures that have yet to be discovered. He’s appeared on television several times, including being featured on the History Channel and National Geographic. He has a lot so share about his discoveries. Thom Powell. A former curator for the Bigfoot Research Organization, Powell’s sharing of his experiences will be fun and full of interesting information. Olympic Project. The Olympic Project is a team of everything from biologists to trackers that work hard with a commitment to proving the existence of Sasquatch. They use formal techniques like DNA analysis, habitat study, and cameras to collect information and they strive to make sure everything they do is non-invasive to any probable Sasquatch habitats. Joe Hauser. With over 30 years of field experience, Hauser is a wildlife biologist and environmental consultant. Hauser had his first Bigfoot experience in 1983 while gold mining in the Sierras in California and continued to have unusual experiences over the years. He is a former curator for the Bigfoot Research Organization and has done many investigative reports on sightings, learning a lot through these experiences. Now living with his wife near Glacier National Park in Montana, their property along the river is used seasonally by a family of Bigfoot. Rictor Riolo. Co-starring in the Ten Million Dollar Bigfoot Bounty TV show, Riolo is vocal about his skepticism in Sasquatch research. Jeff Meldrum. For 26 years, Meldrum has been a professor of anatomy and anthropology at Idaho State University and has done academic research on the evolution of hominin bipedalism. 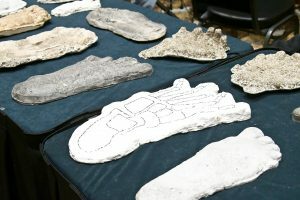 With a collection of over 300 footprint casts, Meldrum continues field research and has been outspoken in many of his findings. 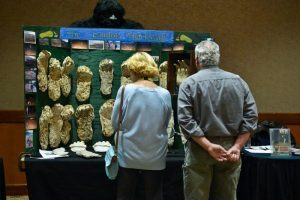 He has also penned a book titled “Sasquatch: Legend Meets Science” as well as having published two field guides on Sasquatch and relict hominoids. Don’t miss out on this chance for big fun as a weekend full of adventure awaits at the Quinault Beach Resort and Casino. For more information and for a complete schedule of events, visit the Sasquatch Summit website.